Four further books also exist. 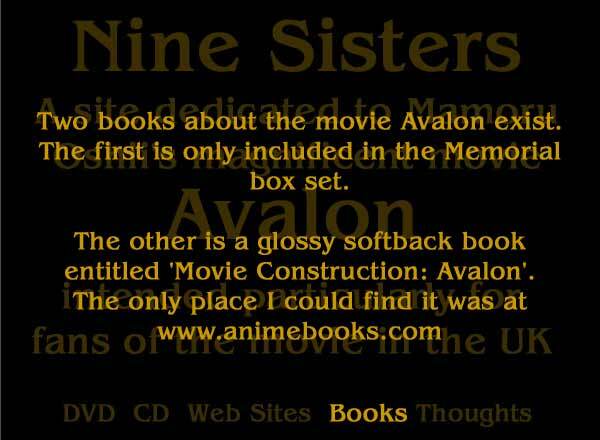 ISBN4-8401-0742-4 Avalon is a small book in Japanese, which as far as I can tell is either a retelling of the film's story, or closely related to it. Note that the illustrations are drawn rather than being pictures from the film. ISBN4-87376-561-7 Avalon reportaz is a 'reportage' book around the making of the film. Text in Japanese with photos from the filming.